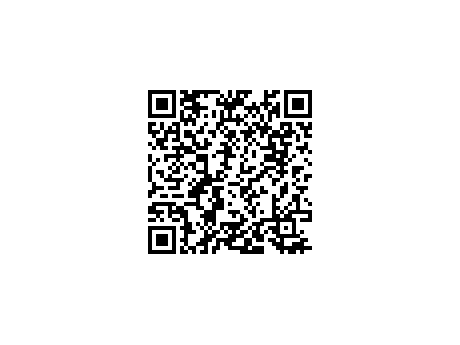 QR code (abbreviated from Quick Response Code) is the trademark for a type of matrix barcode (or two-dimensional barcode) first designed for the automotive industry in Japan. A QR code uses four standardized encoding modes (numeric, alphanumeric, byte / binary, and kanji) to efficiently store data; extensions may also be used. The QR Code system has become popular outside the automotive industry due to its fast readability and greater storage capacity compared to standard UPC barcodes. Applications include product tracking, item identification, time tracking, document management, general marketing, and much more. A Data Matrix code is a two-dimensional barcode consisting of black and white "cells" or modules arranged in either a square or rectangular pattern, also known as a matrix. The information to be encoded can be text or numeric data. PDF417 is a stacked linear barcode symbol format used in a variety of applications, primarily transport, identification cards, and inventory management. PDF stands for Portable Data File. The 417 signifies that each pattern in the code consists of 4 bars and spaces, and that each pattern is 17 units long. PDF417 is one of the formats (along with Data Matrix) that can be used to print postage accepted by the United States Postal Service. PDF417 is also selected by the airline industry's Bar Coded Boarding Pass standard (BCBP) as the 2D bar code symbolism for paper boarding passes. The Barcode supports a variety of image borders with controllable filling, rounding, edge effects etc. This example shows the Ebmoss Border Fill Style. The Barcode supports a variety of image borders with controllable filling, rounding, edge effects etc. This example shows the Rounded Border Fill Style. The Barcode supports a variety of image borders with controllable filling, rounding, edge effects etc. This example shows the Raised Border Fill Style. The Barcode supports a variety of image borders with controllable filling, rounding, edge effects etc. This example shows the Rectangular Border Fill Style. The Barcode supports a variety of image borders with controllable filling, rounding, edge effects etc. This example shows the Rounded Open Left/Right Border Fill Style. The Barcode supports a variety of image borders with controllable filling, rounding, edge effects etc. This example shows the Open Right Border Fill Style. You can control the background color as well as the color fill style of the Barcode.